Estate Arch Plaque. 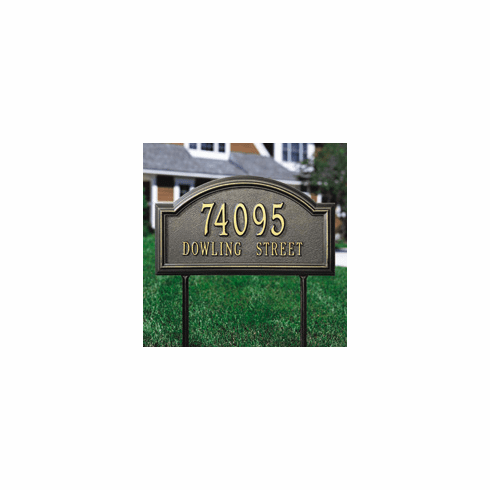 This large plaque will add a touch of distinction to your home or business. Available in five different color schemes. This one line version allows you to add up to five 5.5 inch numbers. Note: The Lawn Style comes with two 18" stakes to set your plaque in the ground firmly. Each plaque has two small holes pre-drilled on the sides for wall mounting as well.